I was able to come home for lunch because its the last week of work and I have very little to do. I have a lot of errands to run in advance of school starting in about 2 weeks that I want to check off my to do list. Can you believe school starts so soon? Time is flying by! 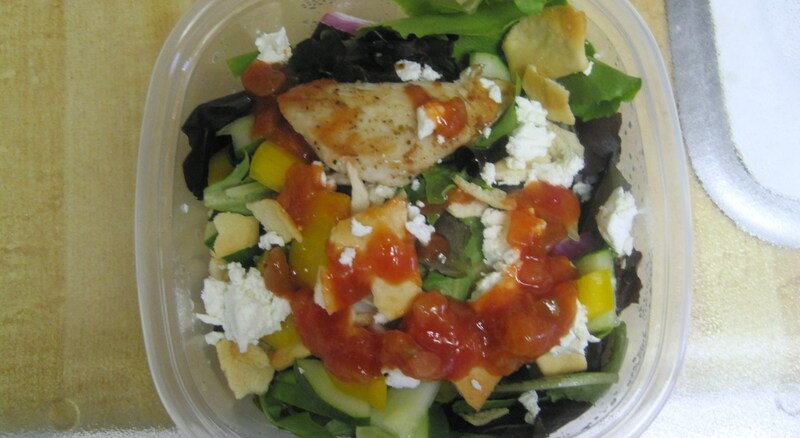 In the mix: lettuce, yellow pepper, red onion, cucumber, goat cheese, peach salsa, pita chips, and tilapia. I cannot lie. 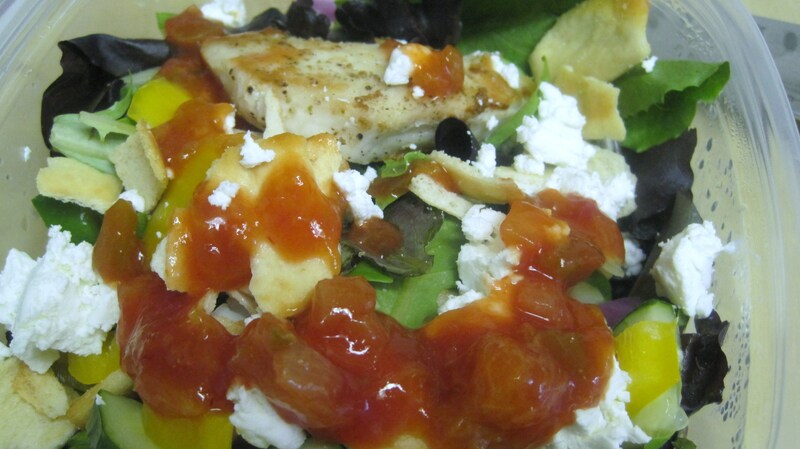 I have a love for peach salsa with goat cheese. Best combo ever! Off to run more errands and hit a yoga class per my plan!